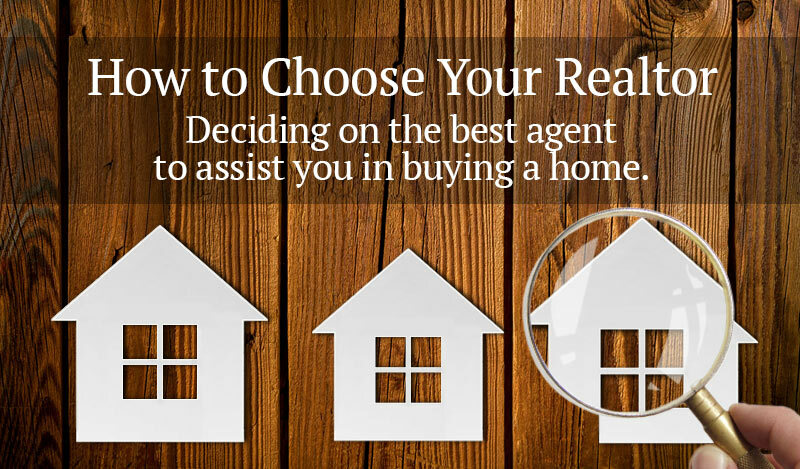 If you are buying a home and you have decided to have a real estate agent assist you in this process, the following information is designed to help you with the important task of choosing a buyer’s agent. The first rule of choosing an agent is to find someone who is a true authority in their field and particularly in the neighborhoods in which you are interested. True authorities have knowledge of current and past trends on the sale and purchase of all different types of homes in a given community, in addition to knowing all the local facts relevant to your potential home selection. That means they should be aware of community information, schools, taxes, how to check about local crime and happenings. The agent who is helping you search for a new home should be able to give you a break down of homes in your price range and where they are located. They should also have knowledge of the home market in a specific community. What is the typical asking price? How much does the type of home you are looking for typically cost? What kind of features do they have? The square footage? Amenities? Authorities in their field have excellent communications skills. They know what questions to ask. An effective agent needs to understand your current financial situation, your needs for purchasing a home, your timing and your priorities. Another criteria for an authority in the field is their ability to use technology to help you with your home search. They should be able to utilize the multiple listing service (MLS) to gather information on housing trends for you. They can also give you a list of internet resources to help you investigate on your own. They will also be able to provide you with information on your options in a timely fashion. It is important that your agent has a reputation for honesty and personal integrity. You will be highly dependent on the agent for their knowledge and straight-forward information and it is essential that you feel comfortable and able to trust them. Is the agent an authority in the geographical area where you are looking to buy? How long have they been in the real estate business and how long with their current company? What is the reputation of the company? Ask for references of recent clients and be sure to call those references. Ask the references to describe the services provided by the agent, their dependability, patience, honesty and professionalism. Ask whether they would use the agent again. The agent should also be able to produce a list of on-line and community resources to help you to profile a community. Meet the agent in their office to see if you feel comfortable and ask them why you should have them represent you with your home purchase. If you get any feelings that you aren’t comfortable with that agent, then choose another one. My job was being relocated from Calif to Texas. I didn’t have much time to look and find a place like I normally would have. I got in contact with Joe Cloud and was truly impressed. I had a very short window to find a place to live in Texas all the while trying to take care and rent my home back in Calif.